What’s your philosophy? How do you expand and seek new horizons? This is the principle question of Jupiter. In Aries, Jupiter expands with great enthusiasm, boisterousness and aggression. Being the benign and harmless planet of philosophy that Jupiter is, when Aries puts him in a situation of aggression and raw combat, Jupiter is not always going to be happy “fighting the fight”. For these reasons, Jupiter does not have full dignity in Aries. He has got triplicity by night in fire, which means that only in the coolness of night when the Sun’s fire is not felt so harshly, is Jupiter able to move forward. The fire by night of Jupiter here though is less likely to signify “the fight” so much as wisdom through the self, simply because Jupiter sees and may be able to do what he enjoys, expand horizons, whether be it mental or commercial. Because Aries philosophy is “do it yourself” and “do it now”, and Jupiter urges to have at least a little bit of forethought, a little bit of wisdom, in order to benefit, it is clear that luck is never going to be immediate, or done “by yourself”. Luck, and optimism do not come when we are impatient. Luck and the benevolence of the world are only received under circumstances when one has faith in a higher power. Therefore, the only luck that natives with Jupiter in Aries will be the luck that they “make themselves”. Jupiter is a philosophical, optimistic, and outward looking planet. The problem with being in Aries is that there is the likelihood of getting involved in violent atmospheres or in wars. Jupiter does not fair well in war or in attacking since this is entirely contrary to his nature. Jupiter will mess up undertakings which require that aggression, he will either be caught in moral dilemmas as to whether aggression is right, and then falter because of it, or he will simply be caught up in someone elses war. With Mars in Aries, it is obvious who is the enemy, they attack and you give as good as you get. 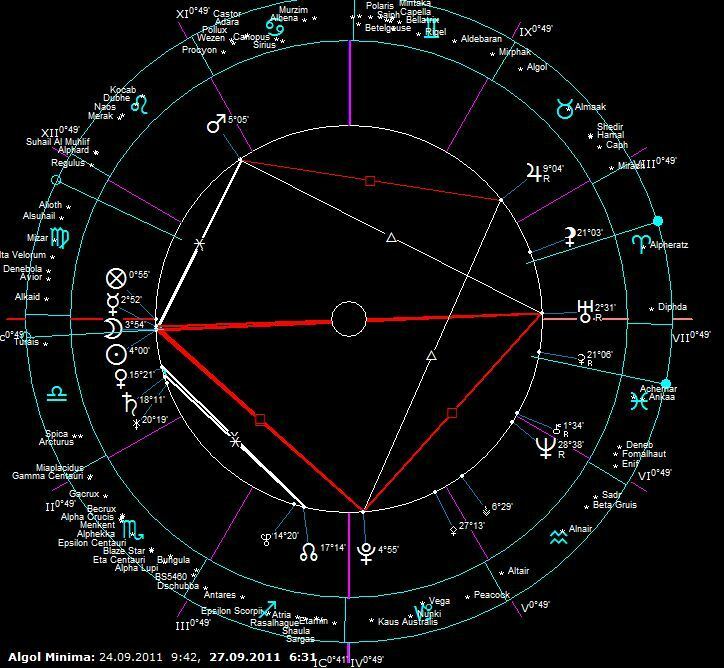 Jupiter however, is liable to make misjudgment here. Ruling the faculty of judgement, or higher reason, it may be possible to fight and to win, but the moral reasoning may be misaligned. When dignified, especially by triplicity and terms, this Jupiter will create the circumstances whereby it is possible to lead, or to carve out a life with enormous optimism, and energy. This placement has got speed and movement, it is a joyful and open placing in the chart. Philosophically, “I think therefore I am” was coined by Jupiter in Aries. But this could easily be the other way around, since being, and presence generally precedes thought. Such philosophy is based on the self as the point of origin and the self as the reference to the universe. If individuals are the measure of the universe, then perhaps the universe is a lonely place, a hostile place, hence Jupiter’s possible unhappiness here. When you reach the precipice, that´s when you are mostly likely to change. When you reach the precipice, that´s when you are most likely to make a huge leap forward. There are many Astrologers who look to their ephemeris, who dig out their history books, though most Astrologers don´t actually own History books since they are far more focused on the future than on the past. They dig out their History Books and glance backwards in time through the ephemeris and wonder with awe and amazement at the coming configuration that is being formed by the planets in the sky during the late Summer of next year; 2010. At first I did the same, I looked and I was shocked, by some of the historical events which occurred during similar times, and I thought to myself, perhaps it would be better to not be around, to not be in the thick of things in the year 2010, and the years immediately afterwards, for it is not an “event” as such, more simply a vortex, which is at the beginning of new things; at the beginning of a decade that is sure to be noted down in History for the “new” things which occur, for events, people, discoveries, happenings, ideas, books, music, politics, that will change everything. I was affraid to begin with contemplating personal points which are to be transited by this great and momentous outer planet line up. But further study has revealed to me that these on the surface frightening Cardinal Transits do not necessarily bring death, nor do they necessarily bring accidents or malignity. Whatever the rest of the Astrological world proclaims, I am confident that my 1st house Cardinally placed planets on a personal transit level will be brought into consciousness, into physical manifestation 100 times what they have been for my entire life. I stand obviously at the edge of a personal precipice. A precipice which is not frightening, and it´s not equal to death, not for me, because I am ready for it with a parachute, with a para-glider. I see the cliff and I am taking a run up. I have natal Mars in the last minutes of Tropical Virgo, 180 degrees from the Aries Point, and so to me the experience will be one of reckless, bold, fearless, and courageous enterprise. I feel the juice of the 2010 T-Square in my bones already. The mystery of 2010 and the years that follow is not difficult to decipher. There is a cliff, there are difficulties, there is a proposition to most persons on the planet at this time, and depending on how much enthusiasm you have and how eager you are for change, for revolution on a personal level, the Grand Transits of next year will endow you with the gifts and the genius to create the future that you so desire. The opportunities that are around the corner are there because of the nature of the transit. The challenges that the human species set itself creates the opportunities to find ways around them. The problems in society and the problems in individual lives are often solved at the point when there seems to be the most pressure to either concede defeat, or take a new road, or come up with something new. The greatest opportunity is about to be presented to both individuals, and to humanity over the next year and the years that follow next year. The question we ought to ask ourselves, is whether we all look to the past and stay stuck in that past and concentrate on things which no longer are important, things which cannot be changed, or whether we make choices which are in accordance with higher principles, in which as individuals we all face the precipice and jump. If you are asked to give up your personal fortune in the name of saving humanity, or fight for it, difficult choices, but the nobler one would probably be the one in which you as an individual “do” something which in itself has worth. To be ready for anything should be the slogan for the next decade. To be ready to change job, occupation, outlook. It is certain that the ideology, that the modes of thought are changing. Sure there is a continuity within history, and it does not escape my judgement to acknowledge that humanity, and the systems and eternal truths of human life are unchanging. It may even be possible that what is old, what is thought of as outmoded and ancient, will in fact come back with avengeance, simply because it is a human truth that has been with society since it first began. The nature of the family, the social group, the network of friends, the national conscience, and now the global conscience are things which are in one sense unchanging. What unites and disunites, is knowledge, and lack of knowledge. This is not empirical knowledge that sociologists or philosophers talked about in gross material terms, but knowledge of basic human life and its continuity and its “NATURAL” state which is has moral and spiritual dimensions that cannot be explained away by 3rd house writers and 9th house philosophers. The opportunity is now here because the rules are in the air so to speak. The opportunity now is to not “write the rules again” in the visage of your own self, but to appreciate the eternal truth. To see what is really true in the light of what has passed. This is a new CARDINAL era. Fire is of the nature of spirit, and Air is of the nature of intellect, so understanding shall be brought that will Enlighten, all underpinned by Cardinal Earth and material foundations, structures and practical needs.